Palos Verdes Estates, Los Angeles County California Car Accidents Lawyers with Over 40 Years of Experience and Success Rate of Better Than 95% in Resolving Catastrophic Injury and Wrongful Death Accident Cases! Palos Verdes Estates, Los Angeles County, California car accidents can cause overwhelming problems and distress for victims and their families. 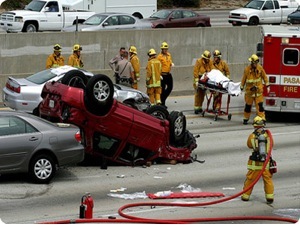 Palos Verdes auto collision accidents cause serious injuries, substantial property loss, and sometimes even fatalities with wrongful death claims. If you or your family was the victim of such a devastating catastrophic accident, we assure you that we genuinely care and want to help you. Our Palos Verdes Estates wrongful death, car accident personal injury claims attorneys and law offices have a success rate of better than 95% in resolving thousands of personal injury and wrongful death accident cases in Palos Verdes Estates, Los Angeles, Santa Monica, Malibu and throughout California. With more than 40 years of experience in handling thousands and thousands of car accident, truck accident, motorcycle accident and bicycle accident and other accident injury claims, we are a group of accident claim lawyers offering our legal services for Palos Verdes Estates, Lawndale, Rancho Palos Verdes, Santa Monica, Los Angeles and other places in California. Our expert car accident injury lawyers know how to handle car accident cases, from getting damaged cars towed and repaired or total loss cars paid off, free rental cars, immediate medical care without payment due until your case is resolved, to maximum settlements while providing legal advice and clear explanations of the claims process all along the way. To see what our clients and have said about us, we invite you to read our testimonial section. There are many time rules (including the California statute of limitations) and procedural rules (e.g., in car, truck & motorcycle insurance policies, the California DMV, etc.) so please do not wait. Please do NOT risk making a mistake or blowing a time deadline. Please contact us now at 818-222-3400 or 1.866 INJURY 2 (after hours just dial “1”) for your FREE & CONFIDENTIAL consultation and case evaluation. Medical Care: Personal injury car accidents in Palos Verdes Estates, Los Angeles CA often leave victims dealing with serious injuries that require regular medical care and physical therapy services. Our Palos Verdes attorneys and legal staff help clients obtain medical care, including doctors, physical therapists, specialists such as orthopedic and plastic surgeons, neurologists, dentists and psychologists; usually without any payment until their claim is resolved. Moreover, clients can seek assistance for prescription medications and X-Rays, including MRI and CT scans, usually with no payment due until your claim is resolved. Vehicle Repairs: Palos Verdes Estate car collision accidents, whether a rear ender or T-Bone collision, can cause heavy damages to cars, trucks, and motorcycles, sometimes even total losses. Our Palos Verdes car accident lawyers and law offices help our clients with their vehicle repairs, total loss settlements, storage, towing and, if appropriate, free loaners and/or car rentals. Transportation to Doctor: Our Palos Verdes Estate car accident lawyers and legal team assist clients in finding doctors, arranging appointments and, whenever appropriate arrange transportation for injured clients to and from the hospital, medical clinic and other doctor and physical therapy appointments. If you need this help, just let us know. Cash Advances/Emergency Loans: Palos Verdes Estate and Los Angeles car accidents can exhaust your finances especially with unexpected medical bills and added expenses to take care of at a time when you may miss out on work and suffer a loss of wages and earnings. Our experienced Palos Verdes Estate car accident lawyers and law offices will assist you in receiving loans and advances to cover those additional expenses. If you or anyone you care about has been involved in a Palos Verdes Estate, CA car accident or any motor vehicle collision, including if a family member was tragically killed with a wrongful death accident claim, please call us right now for your FREE & CONFIDENTIAL car accident personal injury consultation and advice. You also may simply go to our contact us form and tell us about your car accident injury case. You can look through our lawyer profiles and get to know our experienced and well-qualified lawyers. Furthermore, learn about the formalities, procedures, and rules associated with Palos Verdes, Santa Monica and Los Angeles personal injury and wrongful death claims by visiting our Car Injury Accident Web Site (http://www.walchlaw.com/);and for more specific help about your own particular car accident injury case please call us now at 818-222-3400 or 1.866 INJURY 2 (after hours just dial “1”) for FREE & CONFIDENTIAL consultation on your car accident injury case. Remember, our car accident injury lawyers offer FREE legal consultations and evaluations on Palos Verdes Estates, Santa Monica, Maliu and Los Angeles car accident claims and take our clients’ cases on a contingency basis, which simply means you do not pay us any fee until we WIN! There is NO fee to our law firm until you WIN! 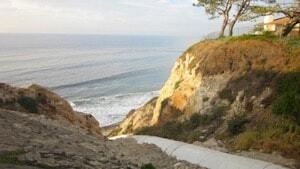 Palos Verdes Estates is a city in Los Angeles County, California, situated on the Palos Verdes Peninsula. The city is located along the southern California coastline of the Pacific Ocean. 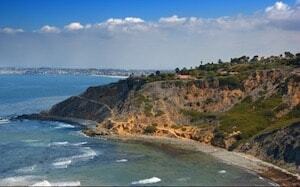 As per the 2010 census, the population of Palos Verdes Estates was 13,438. According to the 2000 U.S. Census, Palos Verdes Estates is the 81st richest place all across the United States, with about 1,000 households. The city is also well known for its high-performing schools, with various national publications ranking its high school between 8th and 44th best in the nation in the 2000 and 2010s. 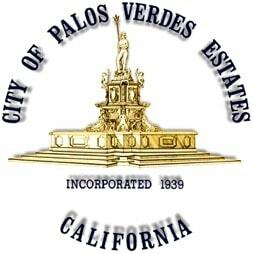 Palos Verdes Estates was originally established as a subdivision, with 3,200 acres carved out of the former Rancho Palos Verdes property of over 16,000 acres. The designers of Palos Verdes Estates, Frederick Law Olmsted, Jr. and Charles Cheney, used deed restrictions as a method of controlling development of the subdivision, even after many of the lots would have already been sold. 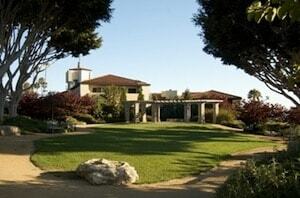 Palos Verdes Estates was one of the earliest master planned communities all across the United States. At the time of the city’s incorporation in 1939, the business and shop area around Malaga Cove had most of the Peninsula’s earlier buildings. The Malaga Cove Plaza building of the Palos Verdes Public Library, designed by Pasadena architect Myron Hunt, was placed on the National Register of Historic Places in 1995. According to the United States Census Bureau, the city has a total area of 4.8 square miles, over 99% of it being land. This is the only city on the Palos Verdes Peninsula to have its own police department. Currently the department has 25 officers. These officers are assigned to different divisions such as traffic, patrol and detectives. The city also has its own dispatch centers and jail. In terms of education, the city is served by the Palos Verdes Peninsula Unified School District. Palos Verdes Peninsular High School also annually honors the largest collection of National Merit Scholar Commandments enrolled in a U.S. high school in any year. Public school enrolment students can attend either Palos Verdes High School in Palos Verdes Estates or the larger Palos Verdes Peninsula High School, in adjacent Rolling Hills estates. Chadwick School is another well-known school in the area. It is a K-12 independent non-sectarian, school, which was established in 1935. Palos Verdes Estates is and has been home to many famous people over the years including Matt Barnes, Gary Wright and others. Our Palos Verdes attorneys and law offices genuinely care about helping our injured clients. Here are some of our wrongful death & personal injury law firms’ credits, awards and accomplishments. Over a 40 year long excellent and continuing membership with California State Bar. Won monetary settlements and judgments of over $100,000,000.00. For an easy, free and confidential consultation, fill-in the details in our contact us form and fill us in on your Palos Verdes Estates, Santa Monica or Los Angeles car, truck or motorcycle accident or any other injury claim. As you see, we offer an absolutely FREE & CONFIDENTIAL consultation AND there is NO fee unless & until you win. We work on a contingency fee for our services on accident injury cases, which means there is NO FEE until You WIN, so you do not need worry about money! Please do not wait and risk losing your rights. Please call us now – You will be very glad that you did!